Heston Area Guide - What makes Heston so great? Where do Heston locals go? The most delicious sweet and savoury Indian snacks you will ever taste! Just along the drive into Osterley Park is this great farm shop that is open all weekend! Run by the National Trust, it's a fab place to spend a sunny Sunday afternoon - walks by the lake, space for frizbie, or a cream tea at the café. A huge range of pretty flowers, homeware and a fish store with some incredible breeds of fish. If you're tired of looking at all of that, you can stop and have a scone and a cup of tea - beautiful! Part of the Grand Union Canal, this a very picturesque place for a stroll. You can even get a pint at the local pub after called The Fox. Doors, floors, fireplaces and anything in between. Perfect if you're looking for something unique! As well as fantastic play areas for kids of all ages, there is a maze and an animal park that houses birds, goats, sheep and peacocks. The peacocks roam free so be careful not to get chased by one as you walk around! A lovely community coffee shop that serves great coffee and fantastic breakfasts, from a traditional English with all the trimmings, to a mountain of American style pancakes with lashings of maple syrup and a side of bacon. Set along the River Thames, this pub is the most famous and possibly oldest in Isleworth. A well equipped fitness centre that has a great swimming pool! Share your favourite place to go to in Heston. "In 1911 The 11 year old Hon Mrs Victor Bruce used to bomb around Osterley on her brother's motorcycle with her collie dog in the sidecar. Her wings were clipped however when she was done for speeding and was banned from riding until she was 16!" 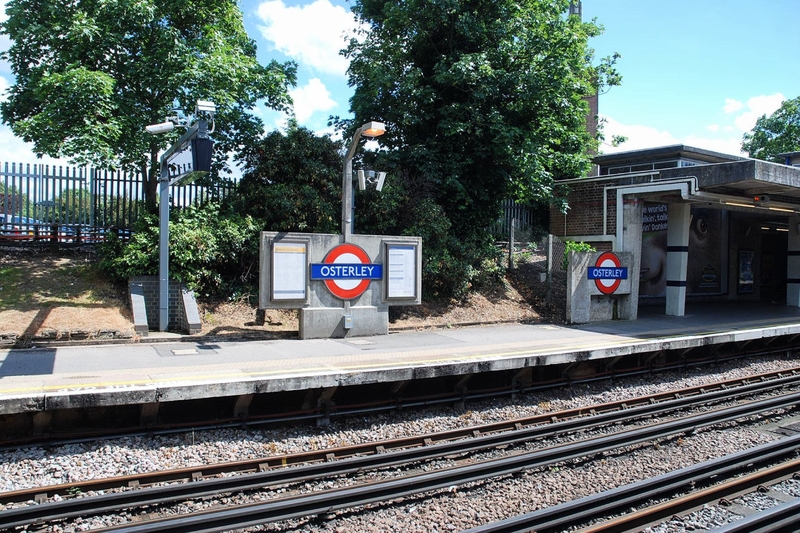 The great thing about Osterley is its transport links, with frequent Piccadilly line services to Heathrow and central London and the A4 nearby too. Looking out over Hounslow Heath, you forget you're in London. Hanwell Clock Tower is at the heart of the conservation area and Hanwell's charming town centre. The lovely rural setting. Heston is stepped in history and benefits from its close proximity to Osterlery Park & House which is part of The National Trust. The area is typified by pre and post war housing. A notable exception of this is the Wheatlands Estate, built in 1963, which boasts a wide selection of two-bed apartments ranging up to four-bed detached houses all in a very modern style. What do you think of Heston? Heston is a place in the London Borough of Hounslow, west London. It is a suburban development area, based on a former farming village 10.8 miles (17.4 km) west south-west of Charing Cross. What are your favourite things about Heston? Find out how much your flat or house is worth om Heston. Feedback about living in Heston has been submitted directly by the public and may not neccessarily reflect the views of Foxtons. The description of Heston was modified from Wikipedia and is available under the Creative Commons licence. Land Registry data is Crown copyright. All the views and contributions contained within Foxtons Local Life are those of the contributors. All content is assessed before publishing for taste, however free opinion is encouraged. Foxtons accept no payment or sponsorship for content that is posted about Heston.